Another month, and nearly 20 more amazing mods to feature. Summarized below, you can download all of these mods in-game. For more information on any mod, click the links provided to go to their pages on Skyrim Mods and Fallout 4 Mods. We’re always happy to hear about new or interesting content to feature, so please stop by our forums to give us your best Skyrim and Fallout 4 recommendations! Our first Skyrim mod offers a wide selection of equipment tailored for Wood Elves. It all looks fantastic, and draws heavily from the lore of Valenwood. One doesn’t need to be a Bosmer to appreciate these pieces. There’s something for everyone here, with a selection of light and heavy armors crafted with full respect for the Green Pact. A perhaps esteemed member of the Bard College in Solitude, Professor Doon is a pleasant, if occasionally curmudgeonly chap. He can be great fun to adventure with – and is somewhat enthused to be adventuring with you, too. He’s most noteworthy for his many observations when idle (something completely different for a follower), although he still holds his own in fight. Of course, as a bard he’d prefer to be hanging out in a tavern, reciting the stories of the land. While more seasoned than most adventurers, he’s not one to tarry, and he’ll give your travels a new, more comedic lease on life. 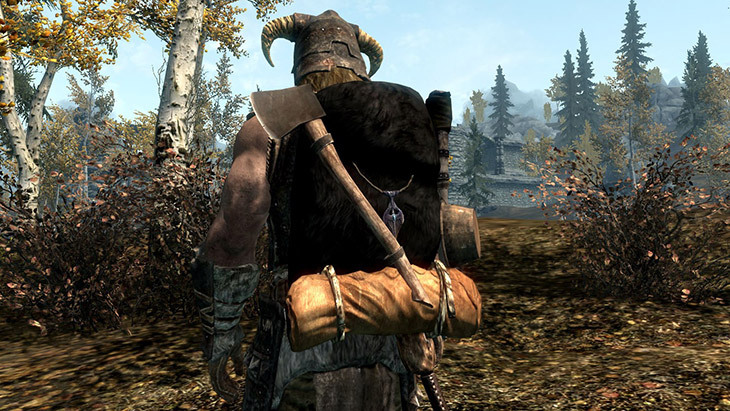 It’s common for mods that add followers to make them essential – meaning they can be taken out of commission during a fight, but not killed outright. Few followers in the base game benefit from this essential status, but this mod changes that. So if you’re looking to adventure with Marcurio or Borgakh the Steel Heart, you can now do so without risk of their demise. This is the perfect mod for those looking for more engaging and challenging combat. It adds new mechanics like scaled damage, stamina management, and an injury system to make combat more tactical. Proper timing of your attacks to take advantage of your enemies’ weaknesses is essential to staying on top. Your opponents will be attempting the same, as enemy AI has been improved to utilize these mechanics as well. Smilodon is a similar mod to Wildcat, presenting more visceral combat for the PS4. It tweaks a number of attributes to increase general lethality, and adds further weight to managing your health, stamina and magicka. Enemy AI is also adjusted. Your opponents will be more relentless in battle, and you’ll need to stay on your toes to come out alive. 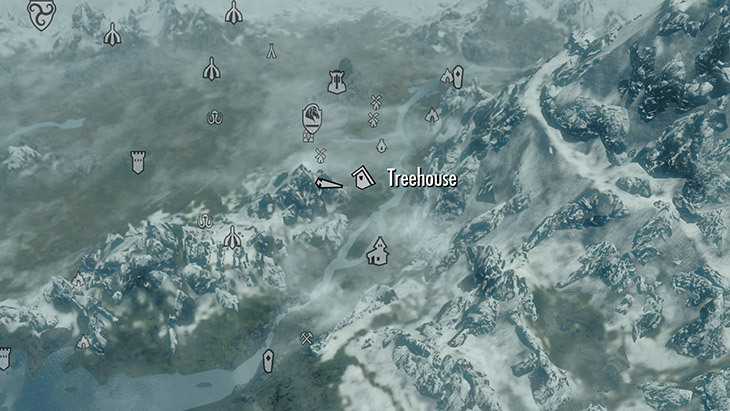 Homes come in many forms, and the Hunter’s Treehouse provides a safe, cozy house between Riverwood and Whiterun. Despite its small size, it has several crafting stations and plenty of storage. Its raised location makes it ideal for archers, particularly those trying to steer clear of the many wolves in the area. The Vampires of Skyrim are prideful, and this set of armor certainly meets their high expectations. Beyond its fantastic look, this mod contains several varieties of this armor, each with a potential unique effect when a full suit is worn, supporting a range of vampiric playstyles. This is an expansive project headed by Brevi, with content contributed by several other authors. This mod adds many new options for the werecreations of Tamriel. It allows you to adjust how and when you change, and expands the perk system so you may evolve your abilities as you further embrace your affliction. In addition to mechanical changes, this mod also contains a massive graphical overhaul, with new skins so you can tailor your appearance. 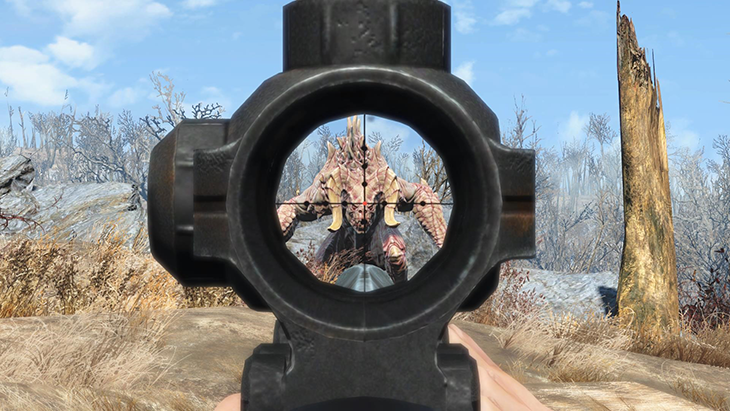 This is the perfect mod for aficionados of large weapons, particularly those dealing with an excess of enemies. It contains two weapons, the Mk.22 and ‘smaller’ Mk.19, both of which have tons of configurable crafting mods, including several paint jobs (we particularly enjoy the ballistic shields). The best way to get a hold of one of these is by looting it off the corpse of an enemy. This is no easy feat, but you’ll respect it all the more having been on the receiving end. One of the larger and more popular armor packs, the Mercenary Pack stands out for its variety, customization and quality. This has everything from rustic wastelander gear to high-end Gunner armor and advanced Institute tech, each with multiple options and configurations. This mod requires the use of two others, AWKCR and Armormith Extended Framework, which add flexibility to Fallout 4’s armor system, and the ability to craft brand new pieces of armor for yourself. Not all radio stations need music to help immerse you in the world around you. Atomic Radio adds hours of custom content, re-creating what you’d expect to hear on Pre-War radio in the Fallout universe. Everything from public service announcements to advertisements for products like Sugar Bombs, Abraxo, and, of course, Nuka-Cola. This mod is not only impressive for what it provides, but the number of people involved. 65 voice actors from the community contributed to this mod – and if you listen carefully you may even hear Jangles the Moon Monkey as well. If you missed it, check out our Atomic Radio “My Creation” Interview. The Crude Blowback is the big brother of the more mundane pipe weapons found across the wasteland. While it might put the “rust” in “rustic,” it remains a solid and dependable machine gun. There are also plenty of crafting options available, allowing you to tweak this gun to your liking and scale its capabilities. This mod is a great addition for fans of Automatron’s Robot Workbench, allowing for a number of established settlement robots to be similarly configured. This covers Greygarden, Buddy, Deezer, and Professor Goodfeels. So if your favorite drink-dispensing robot could use a little more firepower, or if Sunshine Tidings Co-op would benefit from a “groovy” sentry bot, this mod is for you. The settlements of Graygarden and Finch Farm are both popular among players because you can build on the overpasses that cross through. However, reaching these heights requires some work, and a lot of stairs. Trosski’s mod simplifies this by adding a lift to each, making these areas easily accessible. 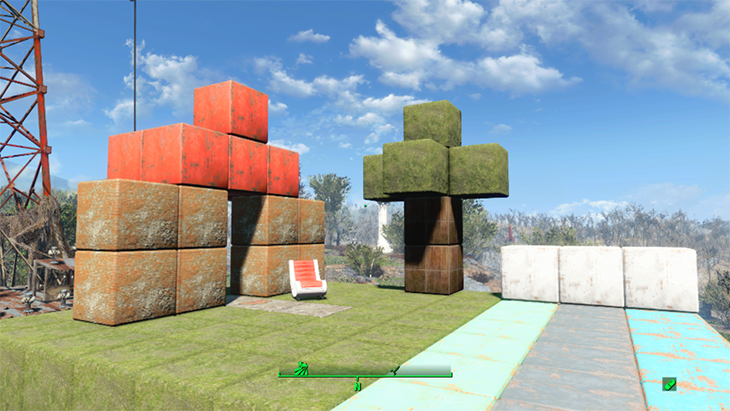 One of the more relaxing spots in the Commonwealth, this house looks great and has many fun little details spread about. It also does a great job of demonstrating what a well taken care of home can look like, without ignoring that this is still the middle of a wasteland. Rounding out our automatic weapons for the month is the Advanced Energy Assault Rifle, a customizable rifle with some extra oomph. This handles differently from the traditional laser rifle, so in addition to being a solid weapon, it adds variety to the armory of high-tech characters. This mod makes several environmental adjustments to your game. First, nighttime is much darker, which can be a boon for stealthy characters, but also stealthy enemies. Traversing the wasteland at night without a light is far more difficult, particularly if you end up in the middle of a heavy storm. What’re the chances of that? Higher now, as this mod introduces a greater variety of weather effects, and adds both dust storms and the more harrowing plasma storms. Maybe staying indoors isn’t such a bad idea. Sometimes it’s the simple things that make the biggest impact. This mod fleshes out Boston by opening up many of the boarded up buildings you encounter, allowing for increased exploration and travel. These aren’t intended to be locations of note, but enjoyable nooks to check out and add depth to your surroundings.